This e-mail does contain images. If you do not see them, click here. READY FOR THE EVEREST !! We have just come back home last Saturday the 16th of July to recharge our batteries after a great month of training in Rio. The time went quickly; we tested many main sails, Olympic spinnakers and other different equipment. It really was an intense block but we have managed to do everything that we had planned with the preparation of our material - Rio's Guanabara bay is one of the most challenging areas we have raced on! Aug. 11th, 13th, 14th : A total of 12 races on 4 different race areas inside and outside the Bay. A BIG BIG THANK YOU to all of you! All of the people and partners who have been following and supporting our Olympic dream! Without you we would simply not be here in Rio to fight for our dream ... and for our country ! Thank you to our Main Partners TEAMWORK and Philippe Rey-Gorrez, GSTAAD YACHT CLUB and Peter Erzberger, WPMC and Peter Wagen, TEAM TILT and Alex Schneiter, l'AIDE SPORTIVE. Thank you to our Bronze partners ETAT DE FRIBOURG/Service du Sport, H20 SENSATION with JR.Minardi, GROUPE E, WERU and SODIBAT, LOTERIE ROMANDE, C.V. ESTAVAYER and PORT D'ESTAVAYER. Thank you to our Suppliers and Boat preparation SUI46°16' SAILING SOLUTION with Nico Rossier, ZHIK, KAENON sunglasses, MB-COMPOSITE with Mathias Bavaud, HYDROS, BUCHER+WALT with Manfred Bucher. 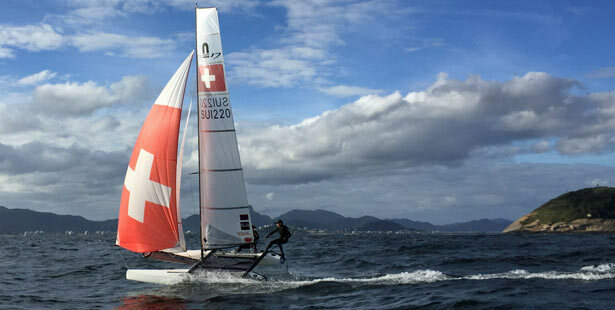 Thank you SWISS SAILING TEAM and Tom Reulein and Marco Brunner for the great support and Gold level coaching from Sebbe Godefroid and Mitch Booth. Thank you to our staff behind the scenes Pierre-Alain Brugger, our great designer mastermind of our trademark blowing-in-the-wind BB logo Marina Brugger, and our team physiotherapist Chantal Brugger. 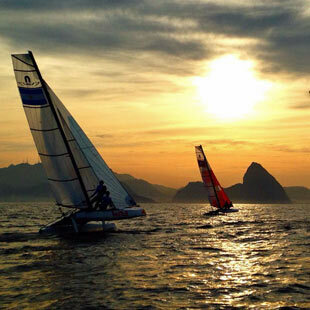 You can share in our daily life and personal experiences in Rio on our Olympic blogs. Created especially for the 2016 Olympics, it must respect the strict rules of the International Olympic Commission and Swiss Olympic (no private sponsors or advertising between July 27th and August 24th). Follow us, like us, push us !! For all questions, comments or to unsubscribe from our mailing list: write to us here.